Travel can be a hassle. I know first hand since almost every month I am on the road traveling to a different event. Especially since September 11th, 2001, just getting through the airport is more complex—much less all the other elements in travel. Despite the hassle, I'm still excited about the live events and how important they are for every writer. Over the years, I’ve written many times about the importance of a writer’s conference. There are many key insights, training and relationships that I’ve formed at these events. I have a number of events scheduled for 2012 as you can see at: http://terrylinks.com/sked I encourage you to check the link from time to time because I update it on a regular basis. I also understand the importance of constant learning outside of conferences. In the next few weeks, I’ve created a couple of events. They require no travel and you can gain this important teaching in the comfort of your home listening to it on the telephone or on the Internet through the webcast. If at all possible, I encourage you to listen to them live. Pull out a tablet and write down the important ideas which you learn. It will be different for each person. I often find several key action items which come from each of these sections—whether I'm hosting them or attending them. I provide these resources as a key way you to grow in your skills as a writer. 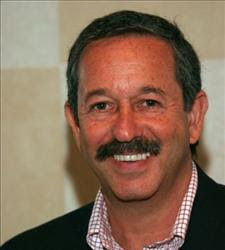 Ask Rick Frishman FREE Teleseminar Of the many people I know in the publishing community, one of the key experts is Rick Frishman. Just follow this link and read his bio. The founder of Author 101 University, Rick is also a publisher. I encourage you t o ask Rick any question about why you should attend a writers conference or anything in the marketing and publicity area where he has specialized. Rick is the author of numerous books and if you register for this FREE event, then you will receive immediate access to Rick's Ebook, The Top 20 Tips for Aspiring Authors. This Ebook is loaded with valuable insights for every writer. Follow the link to register and get the details. Join Us For A Live 70-minute Teleseminar Tuesday, January 24, 2012 (8 p.m. EST/ 5 p.m. PST). If you can't attend during the live event, go ahead and register because everyone who registers will receive the replay information. Then you can download it to your computer or iPod and listen to it at your convenience. 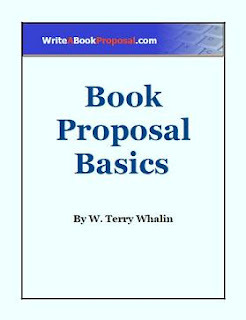 Ask About Book Proposals FREE Teleseminar One of my passions is to teach people how to make the best possible pitch to an editor or literary agent. Over seven years ago, I wrote Book Proposals That Sell which continues to help peo ple. During this event, I will be answering your question about book proposal creation and marketing. When you register for this event you will receive a free copy of my Ebook, Book Proposal Basics. Follow the link to register and get the details. Join Us For A Live 70-Minute Teleseminar Thursday, February 2, 2012 (8 p.m. EST/5 p.m. PST). If you can't attend during the live event, go ahead and register because everyone who registers will receive the replay information. Then you can download it to your computer or iPod and listen to it at your convenience. I will continue to bring these valuable training events to you on a regular basis. Each one provides valuable insights. I hope to speak with you soon.